Feeling like a hot mess? Come sit by me! Now that I’ve been a mom for almost ten years, I’ve finally figured out how to spot fellow mamas in the wild. You will know us by the circles under our eyes. Just kidding. Sorta. Seriously though, on so many days, I feel like I have been sent to earth on a mission from God to help moms feel better about themselves. Not so much in a precious and encouraging way (although I would love that) but more of an at-least-I’ve-got-it-together-better-than-that-woman kinda way. Each one of us is a hot mess in our own right. I just tend to be more messy and not at all hot. So if you’re a stressed out mom and you’re looking to feel a bit better about yourself, here are a few ways I can help you out with that. You’ve ever had to do the walk of shame from the very back of Target, carrying a 35-pound three-year-old having a total meltdown because he can’t have the $75 Thomas track set. Now your picture is up as a BOLO in the security office. They aren’t kidding with that whole cover-the-sandbox suggestion. Your two-year-old daughter has screamed her head off for 20 miles because it is totally unjust that she is not able to pee out of the open door of the minivan. You’ve missed an appointment because your kids have played hide-and-seek with your car keys. And they are very, very good at hide-and-seek. Your date nights have gone from candlelit dinners and romantic moonlit strolls to a turkey potpie with a beer and a Redbox. And you’re so grateful for them! Sometimes jail seems like it might actually be a vacation. Well. The Martha Stewart kinda jail. Not that Scared Straight jail. Yikes. You’ve worn yoga pants and running shoes to school drop-off at least three mornings this week but you haven’t stepped foot in a gym in eight months. For your last birthday, all you really and truly wanted was to sleep past 8 am. 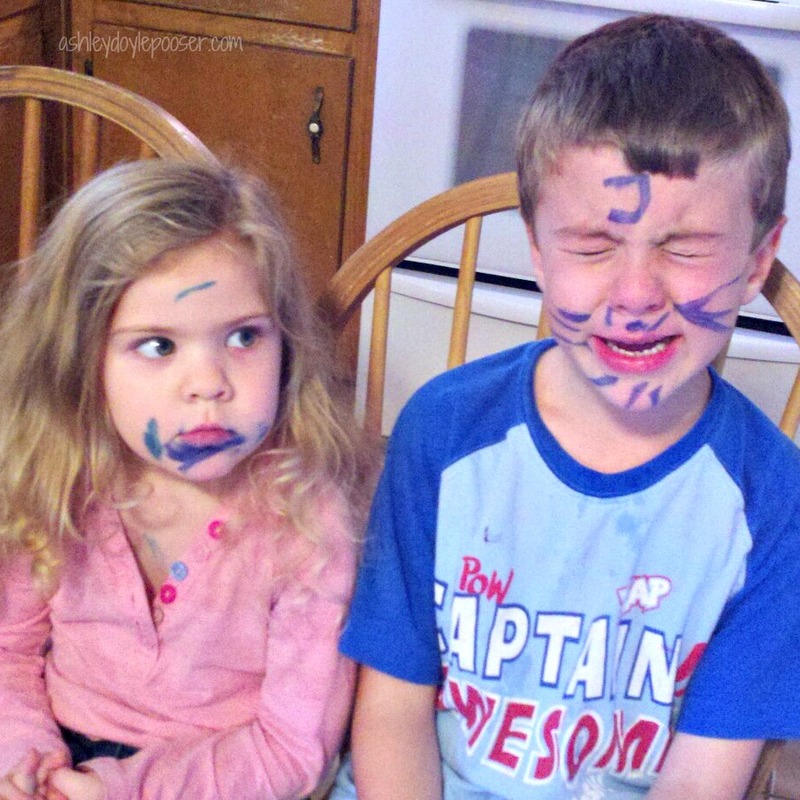 When your kids draw whiskers and stripes all over each other’s faces in semi-permanent marker, you’ve learned how to simultaneously put them in time out and take pictures. You know that, even after enduring the pain of childbirth, stepping on a Lego can make you want to cuss like a sailor and cry like a baby. You could happily survive on coffee and wine alone. You know that no matter how tired, cranky, or stressed out you may be, you wouldn’t trade being their mom for anything in the whole world! This little cutie is almost six months old now. She has been having lots of “conversations” with us, including tons of hilarious inflections and facial expressions to emphasize her points. So of course, I take that as my cue to start teaching her to say mama. 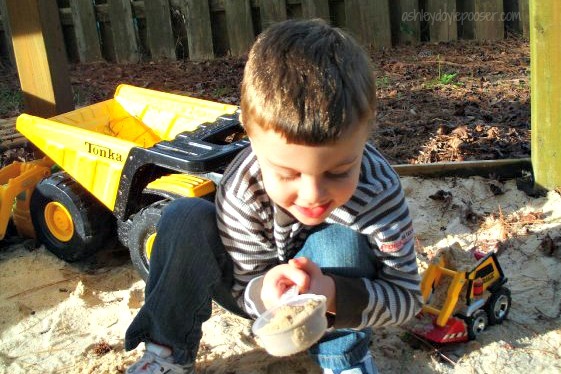 There’s something about hearing your child call, “Mama,” that just grabs your attention. You could be in the middle of a playground full of kids and hear 37 different children shout for mama but instantly know which one was meant for you. She thought He was the gardener until He said one simple word. He said her name. 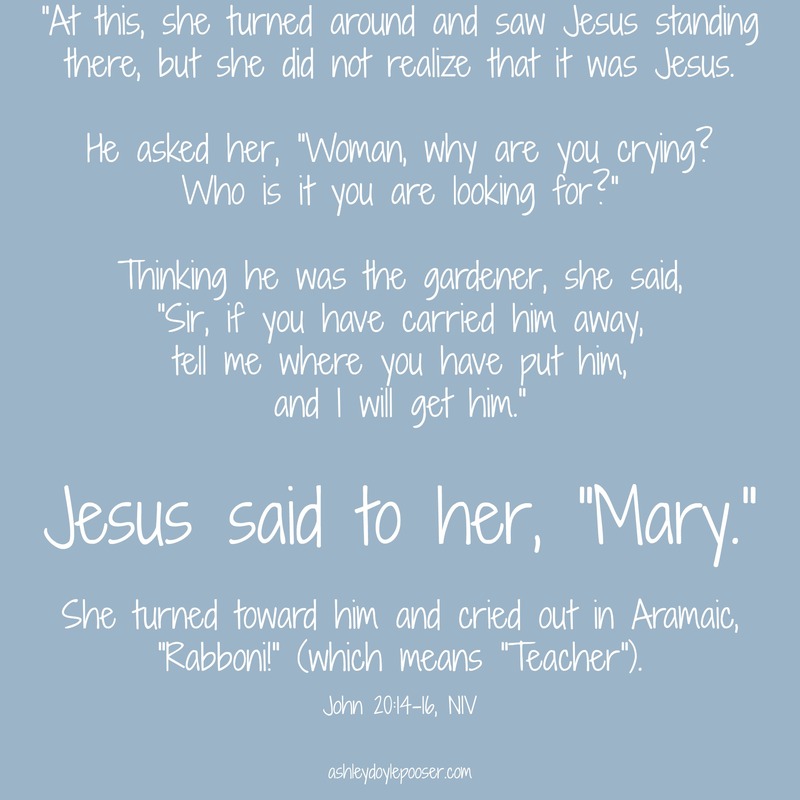 And suddenly she recognized her Savior. Y’all. It just blows my mind. Our hearts are designed to recognize His voice calling us. Just like a mama can instantly pick out her child’s voice calling to her from a crowded and rowdy playground, our hearts respond when He calls our names. Whenever I’m feeling invisible and unappreciated at home (Does no one else see the empty toilet paper holder? I mean really.) or whenever I’m feeling like I have no real purpose outside of my house and I’m battling insignificance, I try to remind myself of this: He knows my name. The next time you’re up to your elbows in dishes and up to your knees in laundry and you feel like your only contributions to this world are carpooling your kids to soccer practice and changing diapers, I hope you can just pause for a second. Turn your face toward the sun. Close your eyes. Store this up in your heart and treasure it. Birthday Parties – Off the Beam! With the dawn of the Pinterest and Instagram age, it feels like a brand new era. This is a time in history when we comb through dumpsters for pallets to turn into patio furniture. A time when we add mason jars to our Christmas lists so we can make lighting fixtures. A time when lunch boxes look more like art than peanut butter and jelly. Did we always do this? Because I don’t remember having sandwiches cut into the shapes of dolphins diving into a blueberry sea. Don’t get me wrong. I love Pinterest ideas and Instagram proof when people actually follow through on the ideas. Especially now that I’ve learned that I don’t need to keep up with the fancy pace of life on Pinterest. But I learned this lesson the hard way. She talks about how life is like a balance beam. We tend to pack too many tricks into our routine and we fall on our faces. We need to look at our beam, keeping in mind our season of life, and make adjustments to our routine. Which things will stay on our beam and which things do we need to cut from our routine? I’m here today to testify to the freedom that comes when birthday parties are OFF THE BEAM! I could usually avoid Pinterest until it was time to plan for my kids’ birthday parties. Then I wanted ideas. I needed to see how everyone else was doing it and how I could do it just as well. I love my kids with ALL MY HEART and obviously, this is best conveyed with a birthday party worthy of Instagram documentation. Once upon a time, I about gave myself an ulcer constructing a cupcake train out of graham crackers and marshmallows, toothpicks and unicorn tears (only to have it melt in the eleventy thousand degree Florida June humidity). I bought dowel rods and handkerchiefs to create bindles full of goodies because the plastic goody bags from the Dollar Tree were too easy, I guess. And then? I can’t let one outshine the other. Because if you do it up for one kid, you have to do it up just as fancy for the other. Exactly the same level of fancy. Because if not, then the slighted four-year-old might end up robbing a liquor store or something. So four months later, to go with a Brave theme, I went insane planning and orchestrating a Highland games complete with tartans, archery, and even a flippin’ caber toss. Because Pinterest and pressure and mommy guilt. It wasn’t long before I found myself dreading the celebration of my children’s births! And that’s just wrong. Chuck E. Cheese and Jesus blessed my socks off. The kids had begged to have a party with Chuck. After doing a little research, I found it was cheaper with no clean up, no prep, no stress. The kids had a BLAST because pizza and games with lights and noise. I had a blast because my only job was to have fun, take pictures, and participate in the party with my kids. And you know what? They LOVED having their actual mama at the party instead of the event coordinator version of me who is running on antacids and comparison. If amazing birthday parties are your thing and you love it and it fulfills you and brings you joy, ROCK ON, sister!!! That trick works with your beam routine. I love seeing the creativity come through in all the ways families celebrate each other. But for me? For this season of life? It feels so liberating to toss Pinterest-inspired birthday extravaganzas OFF the beam. How’s your beam looking right now? Are there tricks you could consider putting off your beam? I’d love for you to tell me in the comments! So I know this isn’t any kind of newsflash for you, but life is hard. When we’re growing up, we imagine how our lives might be. I was one of those realistic kids. I’d seen my mom, in particular, overcome some tremendous hardships in her life. I knew that life would have its ups and downs. I knew that chances were high that we might struggle with jobs or finances or kids or our health. I guess even with all my realism, I didn’t really expect to struggle with all of them. At the same time. We are very blessed in many ways. I know that and I’m very grateful for each and every one. But so many times, even with all our blessings, it can all seem completely overwhelming. We’ve all heard that, right? 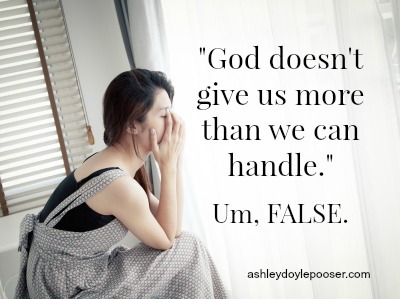 God gives us more than we can handle all the time. One day a few years ago, when both of our cars were falling apart and the bank account was in the red and my RA was flaring and we seemed to run out of everything at once and autism had me out behind the woodshed again and Jake was gone 24/7 for school, I found myself sobbing on the floor in the kitchen. It was more than I could handle. And I sat on the kitchen floor and I cried out to God for help. For mercy. For comfort. For peace. And that’s when I (eventually) realized that, of course, this is more than I can handle. I was never meant to handle it alone. It was time for me to humble myself and admit that I couldn’t do this on my own. I hope you’re not thinking that this story ends here with my admission suddenly causing things to magically fall into place and bring about a sudden reward for having learned my lesson. Maybe it happens that way in the movies. Not in real life. I begged God for some kind of encouragement or special word that would show me that He heard my desperate appeal. It didn’t happen that way. Instead? Different Bible verses popped into my head. Scripture that talked about God’s promises of peace, hope and His plan for our lives. But still…Instead of me suddenly feeling all better with the warm fuzzies, it was more like if I repeated them enough, they would eventually take root. I realized this was one of those times when my faith is shown by choosing to believe it. Even when I don’t necessarily feel it. And I was reminded that one of the reasons I need to study the Word is so those promises and reassurances are somewhere in my stressed-out brain when I find myself overwhelmed and broken. Faith isn’t always about feelings. It’s about choosing to believe even when (especially when?) those feelings aren’t there. I don’t have it all figured out. One thing I’ve learned for sure is that we’re never done learning. That’s another one that I’ve heard quite a bit. And the truth is that I don’t do it. I couldn’t possibly. Not by myself. I hope this post hasn’t come across as preachy because that’s not how it’s meant and I’m definitely in no position to preach. I just hope it might possibly be a small encouragement to someone else who might find herself sobbing on the kitchen floor. If that’s you today, take a few minutes to listen to this song and breathe. Because no matter how strong we are, we’ll never be strong enough to do this whole life thing on our own. And we don’t have to be. A few months ago, I was folding laundry scrolling through my Facebook feed when a post caught my attention. If:Gathering posed a question to women. What’s the biggest lie you have believed? They asked the community to then speak truth over those lies. What is the biggest lie I have believed? Easy. I was answering the question before I even finished reading it. I was curious to see what others were posting, so I clicked to see more comments. I couldn’t believe what I was seeing. 99.9% of the responses were some version of The Not Enough Lie. I’m not good enough. Pretty enough. Skinny enough. Strong enough. Smart enough. I’m not enough of a mom. Enough of a wife. Enough of a cook. Enough of a Christian. I’m just not enough for my husband. My kids. My family. My God. Y’all. What is happening here? What is it about THIS particular lie that has such a hold over so many of us? Why is it so easy to believe? Why are we so struggling with this? Well, let’s consider the source. The father of lies, the enemy of our souls, is the one who keeps whispering this untruth in our ears. So. Many. 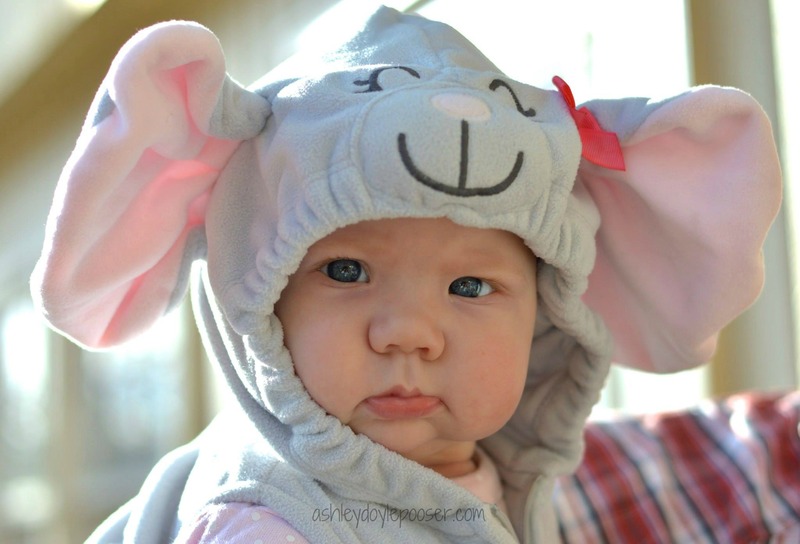 Ears. It obviously must be incredibly important to him for a vast majority of women to struggle with this idea that we’re not enough. Because he is working so, so hard to make sure we all believe that we are, in some way or many ways, falling short of the bar. Why? Why is this point so important to his plan? Let’s imagine for a minute. What might look different in your life if you had the confidence of knowing (knowing knowing) you were enough? If I was secure in the idea of being a good enough cook, I would bring more meals to people. If I was confident that my house was clean enough, I would have people over more often. If I knew I was enough of a mom, I would stop second-guessing my parenting and be more consistent. If I was sure I was enough of a wife, I would stop monitoring conversations with my husband, looking for criticisms that aren’t necessarily there. If I thought I was a good enough friend, I would reach out to be a friend to more people. All of these results would be GOOD things. How much more often I would be showing love and grace and Jesus to the world around me! So, of course, the enemy would want to shut that down immediately. And with the smallest of whispers in my ear, I begin to slip down the slippery slope of doubt. Trying to regain my footing, I start looking around. My house sure isn’t as clean as hers. I don’t cook as many organic meals as she does. She is so much more patient with her kids. Comparison just makes me slip even farther and faster into The Not Enough Lie. We will never measure up because the bar doesn’t exist. We invented it ourselves. If we were sitting across the table from one another right now, talking over coffee, and I heard you speak these doubts out loud? I would reach over and grab your hands. I would look you straight in the eye. I would remind you who you are. You are exactly who you were created to be. You were designed, from the beginning of time, to be the exact wife/mom/sister/friend your people need you to be. You are more than enough. You are incredibly, vitally important to this crazy world. Give your thoughts. Share your ideas. Tell your stories. We need them. Friends. Let’s promise each other to speak truth over The Not Enough Lie. When you hear it lurking just beyond a friend’s words in a conversation, call it out and send it off. Speak truth for your friend. When it creeps up behind you and you feel yourself starting to slip down that slope, call it out and send it off. If you need help doing that, ask for it. Connect with a friend. You would be happy to do it for her and she is happy to do it for you. Let’s pledge to be gentle with each other and with ourselves. Let’s take down that imaginary standard of awesomeness we chase so hard. Let’s go out into our places with the confidence that we are enough. Because we are, y’all. I was born and raised in Florida and I’ve lived in the South for my whole life. If you’re not familiar with the area, you probably wouldn’t think of Florida as being southern. But if you wander into the panhandle of Florida, the accents and the tea are just about as sweet as they come. So when we moved to suburban Atlanta, I didn’t expect a noticeable difference. But, oh my word and bless my heart, I am daily finding new things to love about small town life in north Georgia. Shopping at Walmart is a pleasant experience. Let’s just let that sink in a bit. The staff members are very sweet and helpful. The shelves are stocked and organized. The bathrooms are clean. During my first trip to the closest store, the gentleman I checked out with told me proudly if I came back during the day, there would be 12 lanes open. TWELVE!! Neighborhoods are communities. That might sound redundant at first. But really, how often is a community also a community in the truest sense of the word? Our new neighborhood is full of neighbors doing life together. Everyone knows which kids belong to which parents. They know when Mr. Jones’ arthritis is acting up and they send their kids over to rake his leaves. They know when the Smiths are out of town and they make sure to check on the house and water the plants. When we first moved in, the worst thing said about any of the neighbors was that so-and-so keeps to herself and you won’t see her much. Friday Night Lights shine super bright out here. Our first weekend here, we wanted to grab some dinner with our family before they headed back to Florida. Our quick search on Google maps showed a place just ten minutes down the road. About halfway there, we got stuck in a line of cars that stretched as far as we could see. I was sure there must have been a horrific accident up ahead to put traffic at such a standstill. Eventually, we crept far enough along to see that every bit of that traffic was for the local high school football game. I rolled down my window and could hear the drumline drumming and the cheerleaders chanting off in the distance. My flashback took me right past my own high school days of drumlines and cheerleading to my elementary school years when we’d get popcorn and hot chocolate and cozy up under a blanket on the cold bleachers to cheer on the kid from down the street and the girl from Sunday School. There are more public parks than I could ever visit in a lifetime. I think I pass three just in the four miles to take the kids to school. Parks with playgrounds. Parks with rivers. Parks with fields for kites and soccer. Parks with bike trails. Parks with gazebos. 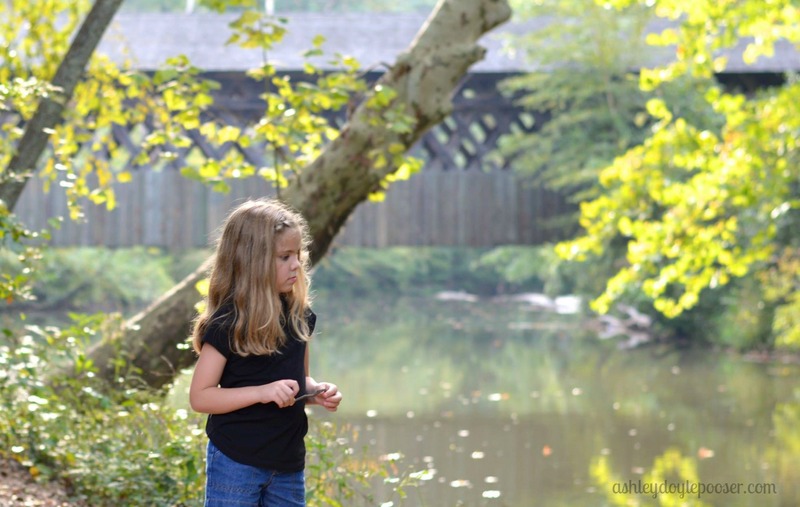 Parks with historic covered bridges. Parks with lakes and creeks for rock hopping. Parks with all of the above. I’ve learned to just take my camera with me wherever we go because I just never know when there might be a perfect background for a photo of my very annoyed children. I’m excited to see how all of these things are going to encourage me to grow. I’m hoping to be a better neighbor. I want to be more invested in my community. I want my family to spend more time outdoors enjoying this beautiful area. I want to be the kind of person who can inspire kindness in others. And if Walmart can keep its bathrooms clean with a happy face then, daggum it, so can I! Girls’ Nights Out are way too rare. Am I right or am I right, ladies? 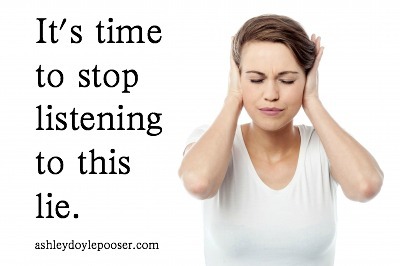 It can be so hard to find the time, especially when you’re in the middle of nursing babies or potty training toddlers or overseeing homework time. It’s ironic to me that the very thing that could so encourage us in this season of life is the very thing that is hardest to fit into our schedules. When I think of the perfect night out with friends, I immediately imagine sitting around a table. Breaking bread or sipping coffee. Either way, I imagine conversations and laughter, maybe a few tears. Walls come down and relationships are built. It’s a safe place where you can share your stories, let down your guard, connect with other people who get you. All too often, though, it’s just so hard to schedule time away from home. That’s why I am so excited about The Glorious Table. The Glorious Table is a brand new community blog that is launching TODAY! This beautiful site has been created to provide a cozy place for women of all ages, all walks of life, all seasons, to come together and have a place at the table. To laugh together, cry together, stand together in good times and hard times. And it’s open 24 hours a day, no reservations required. Whether you’re up in the middle of the night with a new baby or waiting for your teenager to make curfew, studying for finals in your dorm room or waiting in airport lounges, there is a place for everyone. I hope you’ll join us at the Table here: http://theglorioustable.com! You can also join the conversation on Facebook (The Glorious Table), Twitter (@Glorious_Table), Pinterest and Instagram.